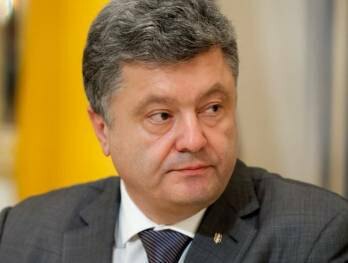 Poroshenko rejects the legislation frowned upon by the EU. President Petro Poroshenko on Monday, 16 May vetoed the bill raising export duties on scrap metal, according to the parliamentary website. On 21 April 2016, parliament raised for a period of three years the duty on exports of ferrous scrap from 10 euros to 30 euros per tonne. Simultaneously, parliament suspended for three years the state registration of contracts on the export of scrap metal for the sake of liberalization of foreign trade. The bill was lobbied by Ukrainian metallurgists, who had repeatedly pointed out that despite the acute shortage of scrap at Ukrainian factories, Ukraine exports record volumes of scrap, which they described as "extremely destructive tactics". In 2015, the export of scrap broke the record, having exceeded 1.2m tonnes. However, the legislation adopted by parliament received a negative feedback from the European Union. The EU Delegation to Ukraine said that the threefold increase in duties on scrap metal was against the "spirit and letter" of the Ukraine-EU Association Agreement ratified on 16 September 2014. According to parliament's procedures, now MPs must either endorse the president's veto on the bill by at least 226 votes, or override it, which would take 300 MPs.